After recently rolling back legal protections for the LGBTQ community, the Justice Department under Attorney General Jeff Sessions has opened a hate-crimes investigation of a man charged with killing a transgender student in Burlington, Iowa, last year and is sending a civil-rights attorney to help local officials prosecute the case. "The federal authorities are investigating the case as a federal hate crime, and so they would like to be part of the state case for seamless prosecution, should an indictment in federal court be handed down," Amy K. Beavers, the Des Moines County attorney, told The Des Moines Register Sunday. Sessons "personally initiated" the Justice Department's involvement, according to the New York Times. The department dispatched Christopher Perras, an attorney in the Justice Department's Civil Rights Division, to serve as a county prosecutor in the murder case, which includes underlying issues of gender identity and sexuality. Kedarie Johnson, 16, was shot to death in March 2016. Family and friends told local newspapers that Johnson was gay and identified as both male and female, occasionally going by the name Kandicee. The department's dispatch comes a few days after Sessions, a resolute conservative, reversed a three-year policy that protected transgender people from workplace discrimination under federal law. Officially joining the Johnson murder case, however, is not completely contradictory to Session's stance as the nation's top law enforcement officer. In late June, during a Justice Department hate crimes summit in Washington, Sessions vowed to aggressively enforce federal hate crime laws. 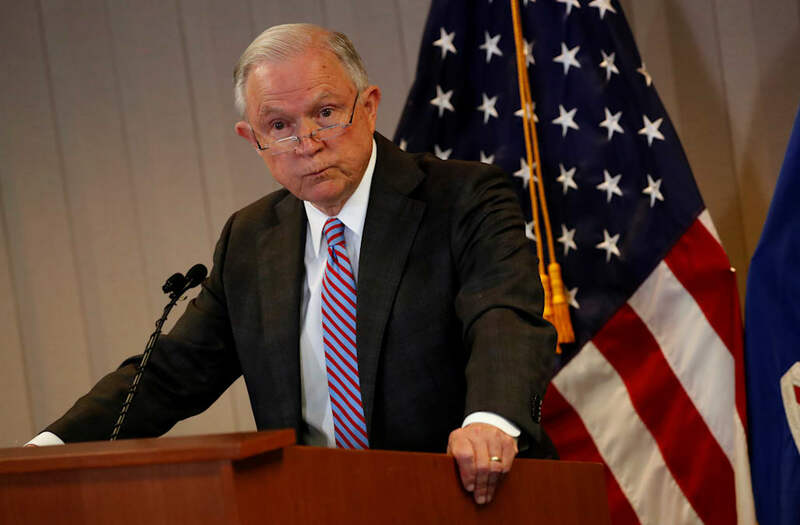 "I know the responsibility that we have, and we have a responsibility to protect people's freedom, their religious rights, their integrity, their ability to express themselves, to push back against violence and hate crimes that occur in our country," Sessions said. "So, we're going to do that, I will assure you, in every way." "We have and will continue to enforce hate crime laws aggressively and appropriately where transgendered individuals are victims," the attorney general continued.